Form follows the fluidity of belonging… well, at least in Europe’s two big architecture triennales. 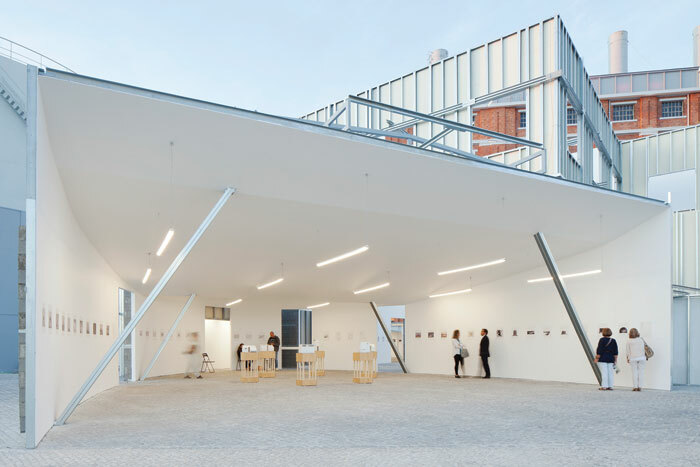 In October, the Lisbon Architecture Triennale (TAL), under the contemplative curatorship of André Tavares (continuing his work with the late Diogo Seixas Lopes), brought architecture back to centre stage - its four main exhibitions are fairly and squarely about buildings and building them. What a complete contrast to the Oslo Architecture Triennale (OAT), opened a month earlier. 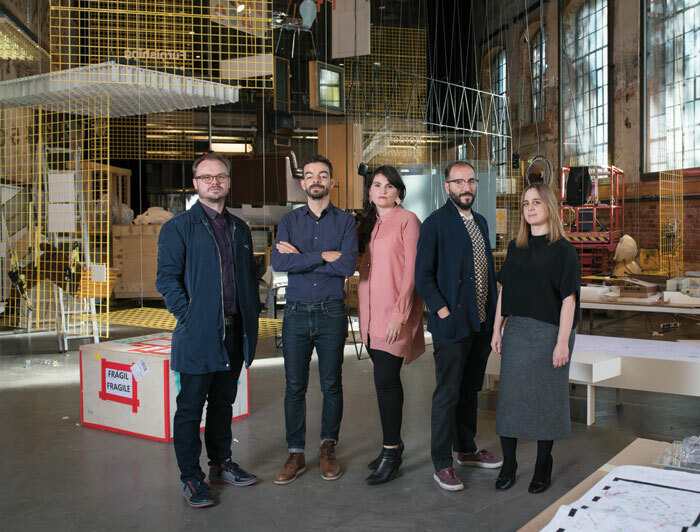 The Spanish curatorial team After Belonging Agency didn’t just push the boundaries of architecture as we understand it (as the biennales in Chicago 2015 and Venice this year did), it seemed to detach from it entirely. 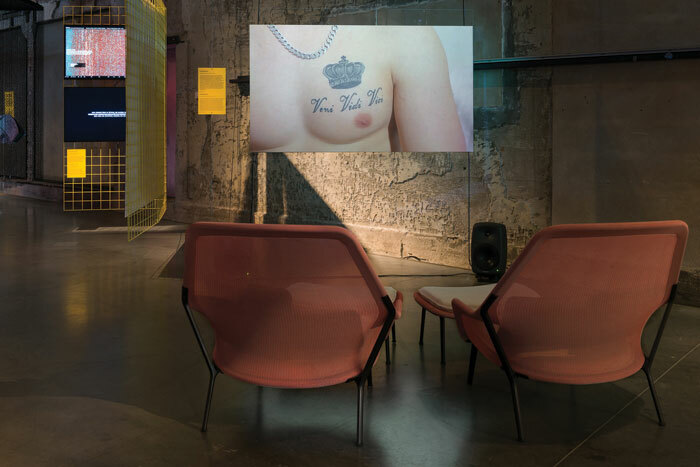 That didn’t stop Oslo ultimately offering compelling food for thought to architecture - namely, what place is in a shifting world, or as curator Lluís Alexandre Casanovas Blanco put it, ‘The normalisation of precariousness’. The first clues of the Oslo agenda had been revealed back in June, when OAT was previewed at London’s Architectural Association. Nabil Ahmed and Dámaso Randulfe presented their illuminating project about Kirkenes, a Norwegian town by the border with Russia, synthesising geography, geology, anthropology, history and politics… but architecture? 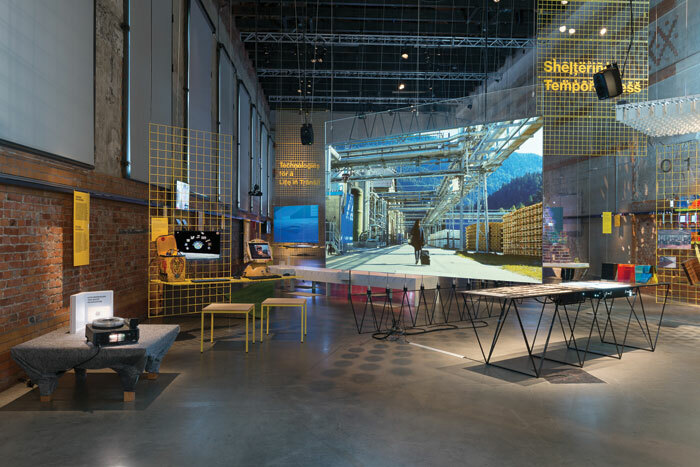 Over in Oslo, there were two main shows, On Residence at DogA, the Norwegian Centre of Design and Architecture, and In Residence at the National Museum - Architecture. Randulfe’s Resource Negotiations in Kirkenes project was in the latter, an arc of desks packed with study material, and a slide show, its material still fascinating. 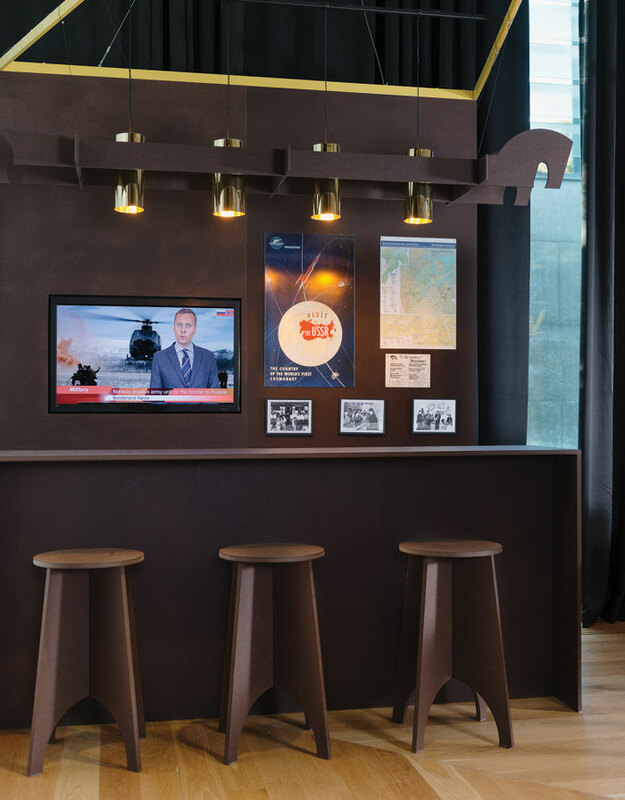 Appropriately, it was next to the Bar Boris Gleb, an actual bar realised by Transborder Studio to echo a legendary Russian drinking hole which welcomed Norwegians from across the border for 59 days during the Cold War. Border zones were just one of many phenomena examined at On Residence, an attractive exhibition with its big translucent photos visible from both sides and displays in an open maze of yellow frames. 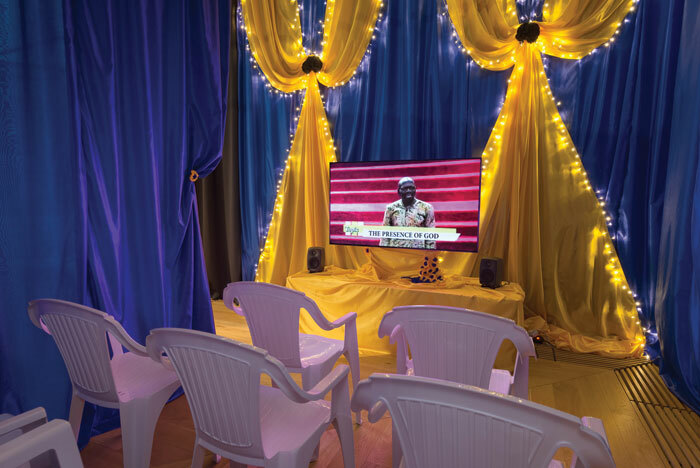 A stand-out work was Techno-Religious Communities by Emeka Ogboh - a gorgeous silk-curtained installation that evoked a Lagos pentacostalist church, making a point about religion appropriating technology. Elsewhere, subjects ranged from Manhattan storage facilities to asylum shelters in Oslo. The common thread is that all these places offer a sense of belonging to someone and, in fairness to the curators, that sometimes involves architectural intervention, even on a small scale such as an alcohol point at security in Bolleria Industrial/Factory-Baked Goods’ proposals to counter the tedium of Oslo’s Gardermoen Airport. On Residence too had random subjects, in the same warehouse hall as OAT 2013’s Behind the Green Door. It presented more of a visual feast. 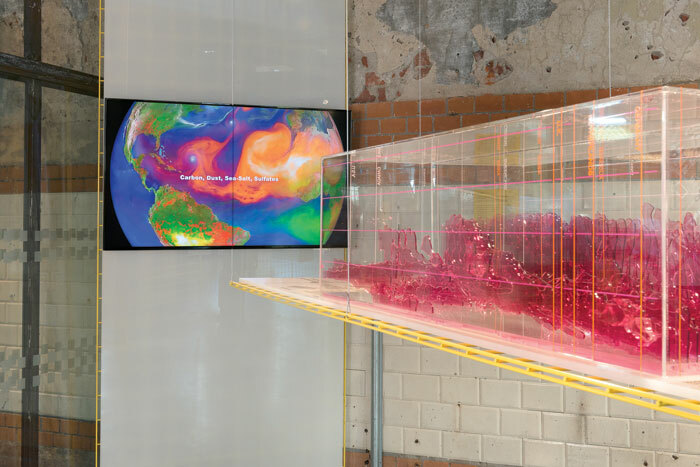 Air Drift by Kadambari Baxi and others showed hypnotic NASA satellite videos of global pollution swirling in colourful, dynamic plumes. Superunion Architects (a Norwegian practice to watch), in Found Collection, suspended a vertical column of modern furniture, as if it was rising in a rapture. Each item once belonged to someone, so was literally after belonging. Andrés Jacque brilliantly ventured into lush territory with Pornified Homes, a video about two displaced exotic lifeforms in London - Brazilian gender-changing plants and upmarket rentboys. There was some engagement with architecture. Design Earth’s Pacific Aquarium modelled hypothetical undersea structures in aquaria to highlight resource exploitation - completely different to Jill Magid’s Barragán Archives, a film with supporting material showing the great Mexican architect’s tomb being opened so she can recover his ashes, make a diamond, and trade it for his corporately owned archives. There may be a feeling of exasperation about the Spanish take on architecture at Oslo (one of the curators, Carlos Mínguez Carrasco, talked about it as ‘networks and territorial configurations’), but they’re not alone in focusing on the shifting nature of contemporary place. At Venice, for example, one of the best projects there was Rahul Mehrotra and Filipe Vera’s Ephemeral Cities. 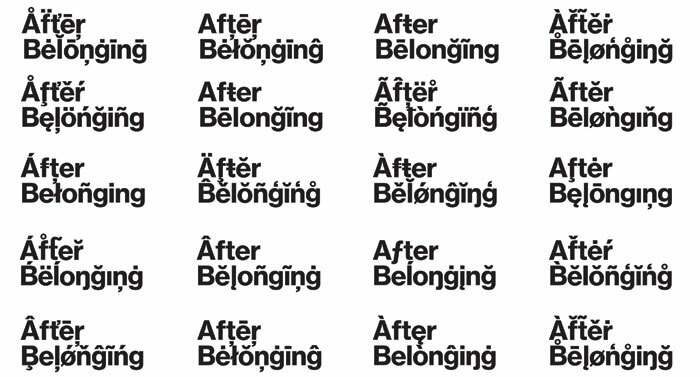 Even After Belonging’s especially designed Oslo font, full of mad, random accents, embodied transience. Curator Ignacio G Galán said that a letter ‘tries to appropriate the accent but it tries to move’, and it also echoes ‘the language of spam media, like viagra ads’. The conference, in Snøhetta’s Opera House, had some powerful speakers relevant to the issue, including Eyal Weizman of Territorial Agency (Forensic Architecture at Venice) and the heroic, practical disaster-relief architect Yasmeen Lari of Pakistan’s Heritage Foundation. They followed the surprisingly informed Crown Prince Haakon of Norway, who reminded us of the pigs whose houses were destroyed by the wolf. ‘Why didn’t they hire an architect?’ he asked. But there is a contemporary paradox of belonging that OAT missed: even as we let ideas of a fixed abode dissolve, property markets and cookie-cutter architecture surges across the globe. Lisbon is having a property boom, but so far, anodyne apartment blocks haven’t started to crowd it. 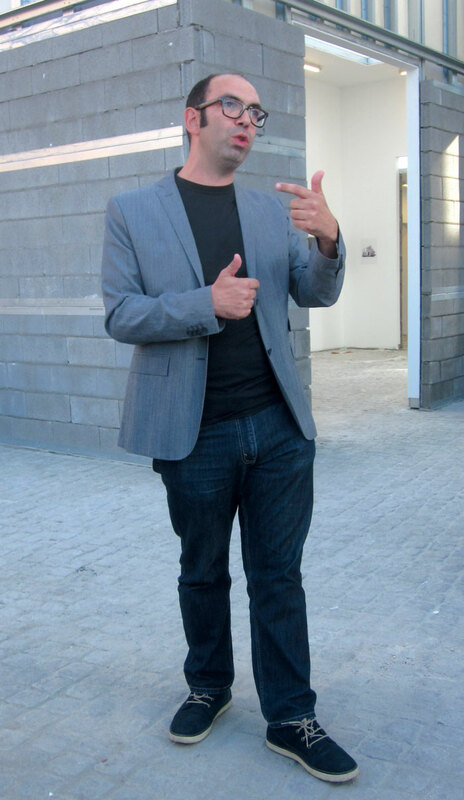 One of many reasons to keep architecture on the agenda, as TAL does. Tavares says the Form of Form has a ‘triangular structure’, a ‘tripod’ of form, building process and description. In the MAAT cultural complex, near the spectacular form of Amanda Levete’s new museum, the most visible feature of TAL’s exhibition is Form of Form itself, whose curation is credited to Seixas Lopes. Its structure is a deliberately unfinished building, but in keeping with the original approach Tavares and Seixas Lopes had to curating the event — ‘first we design… then we build’. It’s a configuration of interconnected pavilions based on actual projects by three participating architects, responding to an atlas of architectural forms by Socks Studio. They include an open entrance gallery that funnels you in, and a courtyard bounded by three-storey walls punctuated by windows. Strangely, the latter has an echo of Aldo Rossi’s ossuary at San Cataldo cemetery, the subject of Seixas Lopes’ book Melancholy and Architecture, but here the outside is bare frame and panel backs. Pictures and plans of structures, from ancient monuments to a bank by Siza and a house by Hiromi Fujii, are aligned simply along the walls, and there are models. Thus you are looking at represented forms in an agglomeration of shell forms, all of which an architect is the author. The show is a quiet contemplation of form, but it is about authorship too. Nearby, the exhibition World In our Eyes is deep in the bowels of the fortress-like Cultural Centre of Belém (CCB). As Francisca Insulza of curators FIG Projects says, this is about ‘how architects look at the city, what they can learn from the city’. Various projects studying urban space and taxonomies cover circular platforms or wide drums mounted on the room’s columns, which look as if they should rotate, but they don’t. 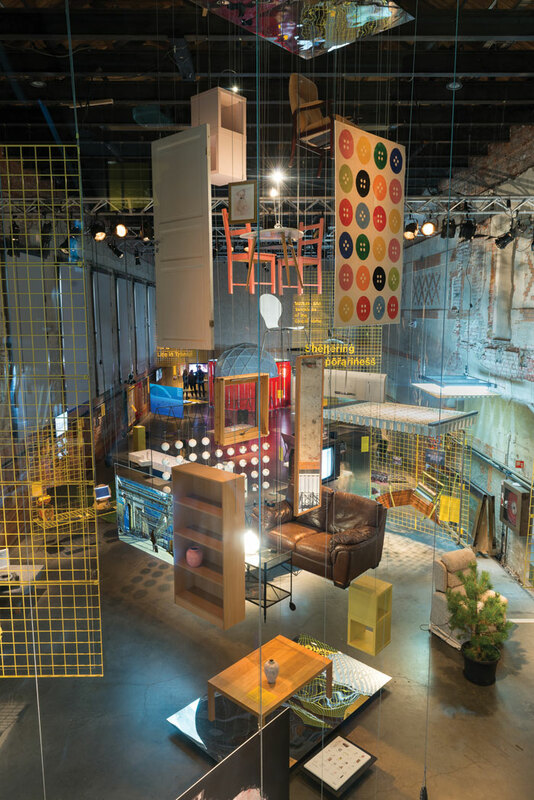 Around one column, a model of a Rio favela climbs, meticulously constructed (as it was but on a flat base at Chicago’s Bienniale) by Rua Arquitetos. 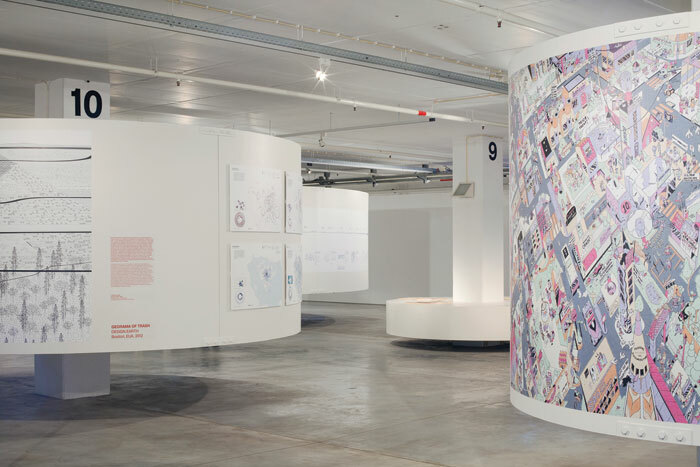 The CCB show is absorbing, but urban mapping has become a familiar thread in architecture shows. By contrast, Building Site, in the great brutalist masterpiece of the Gulbenkian Foundation, is new territory, and refreshing. Curated by Tavares himself, it has seven sections, each an idea addressed in brilliant archival case studies. 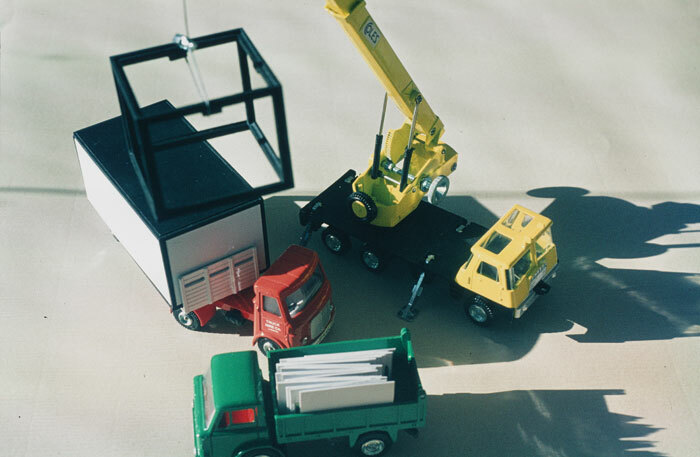 ‘Happiness’ is the pursuit of Cedric Price’s Seventies study on how to make McAlpine’s construction workers happy on site — he named it the McAppy Report. ‘Time’ is the idea in the models and drawings of OMA’s Casa de Musica in Porto, constantly subject to revision to meet impossible deadlines. ‘System’ charts the global franchise pioneering engineer Hennebique crested, spreading his concrete construction technology a century ago, while in the final section, Choreographies, curators Pedro Alonso and Hugo Palmarola simply project classic film clips (Harold Lloyd, Popeye et al) featuring girders and panels in the performance of them being slotted into building frames, and all to a jaunty soundtrack of Akai 47 by Nortec Collective. 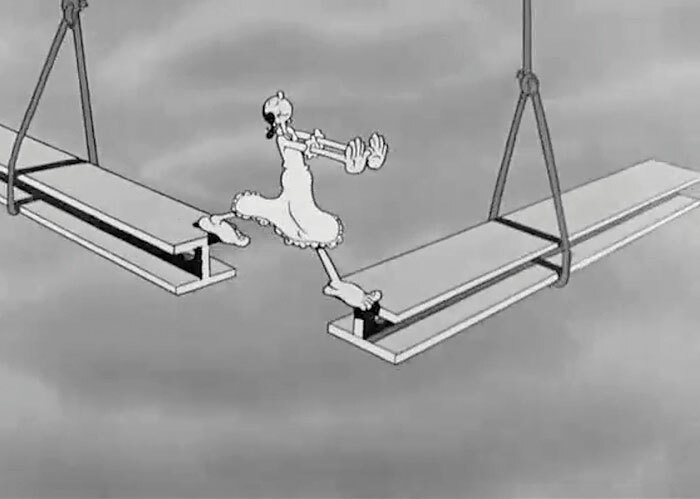 It is an elating ending to a show that fascinatingly faces the importance of physical process. The fourth major show, Seaside Logistics, exhibits proposals from Portuguese architecture schools for the harbour town of Sines, showing that Portugal has a lot of architectural talent in the pipeline — important after the profession flatlined in recent years of austerity. The venue is TAL’s own headquarters in the grand but faded Palácio Sinel de Cordes, and it occupies rooms where the ghost of baroque times lingers in patches of not-completely stripped walls. The charm of such venues is something unique to Lisbon. 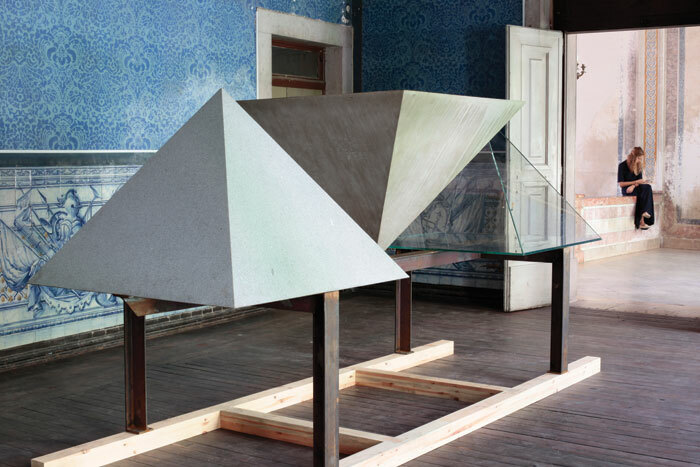 The Palácio Pombal has a similar atmosphere, and hosts Eduardo Souto de Moura’s sculpture A Triangular Form. This composition of three pyramids, in stone, concrete and glass, references Egypt, IM Pei and Niemeyer. Addressing form directly, the Pritzker winner delivers something powerful and elemental. TAL has further satellite exhibitions and, like OAT, a full programme of events and projects, and a book (both excellently designed and pregnant with imagery and ideas). Is that all they had in common? Oslo was a reflection on a contemporary phenomenon, Lisbon a meditation on timeless themes. Oslo was jazzy, sampling its subject almost randomly, while Lisbon is symphonic, presenting its material in three great movements corresponding to its triangular structure. Oslo had colour, Lisbon a muted depth. Both host cities are at the Atlantic edge of Europe, but OAT was the edgy show, reaching beyond the edge of architecture. The Lisbon triennale looks into architecture’s soul, and however fast the world changes around it, finds universal concepts and values. By understanding the past, we are equipped to build the future… with architecture.